CHARLESTON, S.C., June 26, 2018 /PRNewswire-USNewswire/ --The third annual Daniel Jordan Fiddle Foundation Leader in Adult Autism Award will be presented to 24-year-old "disability emissary" Neal Katz during a Keynote Luncheon at the Autism Society of America's 50th Annual National Conference to be held this year in Washington, D.C., July 10-12. Foundation president Linda Walder will present the award to Neal. The Daniel Jordan Fiddle Foundation (DJFF) was founded in 2002 and was the nation's first and only autism organization focused exclusively on adults at that time. Since then, the foundation has been a beacon of hope for millions of autistic adults through its groundbreaking programs, endowments and partnerships with the nation's leading colleges and universities, researchers, autism organizations and governmental advocacy groups. Foundation President Linda Walder established the organization's namesake award in 2016, together with the Autism Society of America (ASA), to recognize an inspirational person, service provider or employer in the field of adult autism in order to encourage all autistic adults and their families to dream big and roll up their sleeves to create options for employment, housing and leisure activities that open doors to full and productive lives. From her Charleston, S.C., office Walder said: "The Daniel Jordan Fiddle Foundation Leader in Adult Autism Award furthers our mission to inspire and support individuals diagnosed with autism, their families and the community at large in their efforts toward full recognition and inclusiveness for adults living with Autism Spectrum Disorders (ASD)." The Daniel Jordan Fiddle Foundation Leader in Adult Autism Award is an organic collaboration between the foundation and the Autism Society of America, as both organizations share an abiding respect for the lifelong rights of all autistic individuals. The ASA's national conference is world-renowned as the premier autism event for individuals, professionals and families. The Autism Society of America, founded in 1965, is a leading national autism advocacy, resource and family support organization whose mission is to increase public awareness about the day-to-day issues faced by people living with ASD. 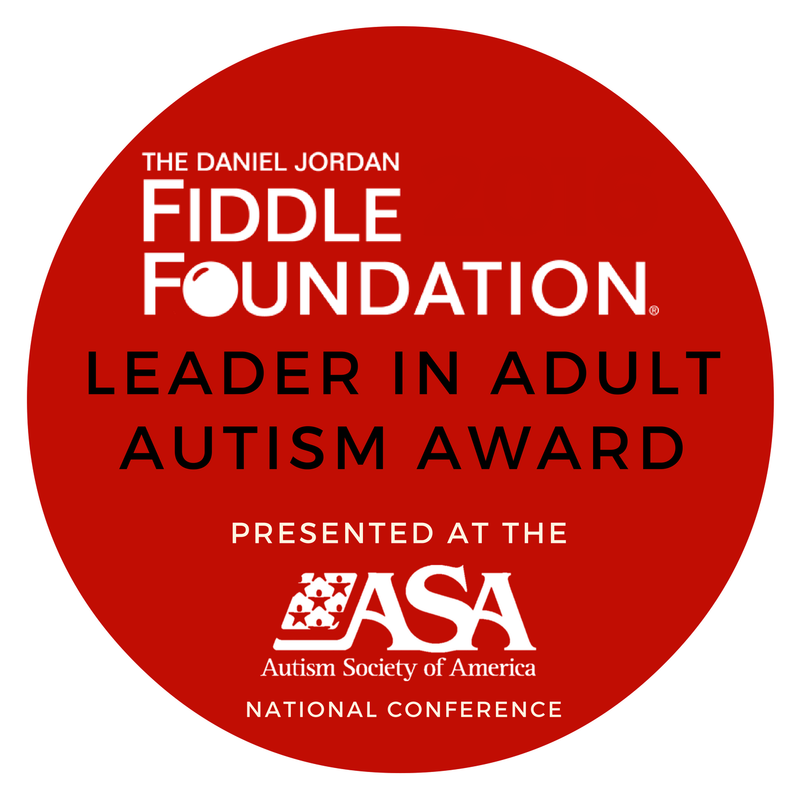 According to Scott Badesch, president/CEO of the Autism Society of America, "We are so grateful for our partnership with The Daniel Jordan Fiddle Foundation, including the sponsorship of their 'Leader in Adult Autism Award,' which recognizes inspiring adult individuals on the spectrum, as well as forward-thinking businesses and organizations that employ and celebrate autistic adults." 2018 honoree Neal Katz, 24, lives in Los Angeles with his mom and stepdad. He is nonverbal and communicates via assistive technology on his iPad. He loves hanging out with his friends at the beach, listening to music, shopping and helping with chores at home. Neal holds a job as an organic gardener, as part of Shemesh Farms' program at the Shalom Institute, in Malibu. He also works at the farm's grocery store in Santa Monica. Neal inspired the award-winning social skills and performing arts program The Miracle Project, which was founded by his mother, noted acting coach Elaine Hall. 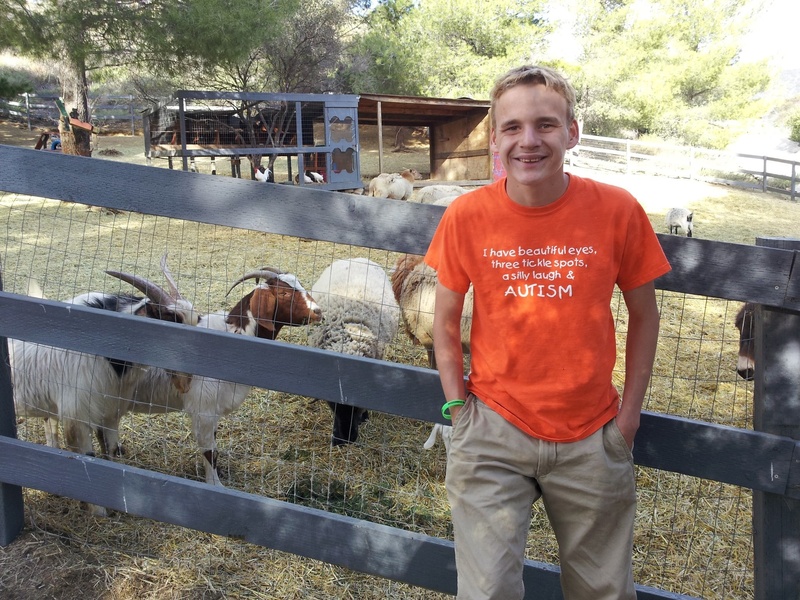 Neal is the star of HBO's Emmy-winning film "Autism: The Musical." He has also made inspirational presentations across the United States, using his iPad to speak, at the United Nations on World Autism Day in New York and as a panelist at the FRED Conference, the premier organization advancing housing and employment options for adults with special needs, in Los Angeles. Says Neal Katz: "Linda Walder and her amazing foundation have been a part of my life since I was 10 years old. I'm thrilled to receive the Leader in Adult Autism Award and to celebrate this honor with all of the inspiring guests at this year's ASA Conference." Following the award presentation, Neal and Elaine will lead a breakout session on Neal's transition to employment and his inspiring growth despite significant challenges. Entitled "From Passions to Employment," the session will track the story of how Neal's passion for nature led to his discovery of joyful and meaningful employment as an organic gardener. Attendees will learn how to listen to a child's needs, especially if they are nonverbal like Neal; how to view "obsessions" as "passions"; and ways to develop educational goals that reflect the child's true nature and abilities. Founded in 2002 by Linda Walder, a pioneer in the adult autism arena, The Daniel Jordan Fiddle Foundation (DJFF) has established a leadership platform to develop, fund and advocate for programs and public policy related to all aspects of adult life such as job training, residential living, the arts, recreation, health and wellness, as well as social and life skills. DJFF is named in honor and memory of Linda's son Danny who was diagnosed with Autism Spectrum Disorder (ASD) and passed away at age nine. Since 2014, DJFF has established endowment funds, known as The Daniel Jordan Fiddle Foundation Endowment Funds, that focus solely on adult autism at Yale University, the University of Miami, Rutgers University and Brown University in a trailblazing initiative that in perpetuity will assure that the most innovative research, program development, support systems and services will continue to serve the diverse population of autistic adults. Says Walder: "Our aim is to ensure that for generations to come there will be an impactful focus on adult autism. The Daniel Jordan Fiddle Foundation is committed to providing inspiration and innovative solutions to the challenges faced by millions of Americans living with Autism Spectrum Disorders. The foundation's endowment funds are poised to lead the way on all fronts."